Today I am going to share my R & D on Services in Android. A Service is a component that can run in the background for an arbitrary amount of time. As with the activity tag, you can optionally include one or more <intent-filter> elements that the service supports or <meta-data> values; see the activity's <intent-filter> and <meta-data> descriptions for more information. 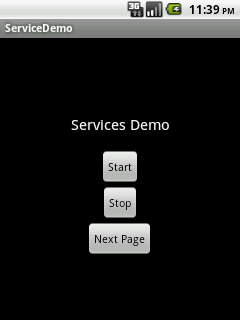 1)Create new android demo project. 5)Create a raw folder inside your res folder and put a .mp3 file/song into raw folder. Today I am going to share very useful blog for In App Purchase in Android. Google provide In App Billing faculty in Android. In App Purchase is a very easy and secure way for make payment online. 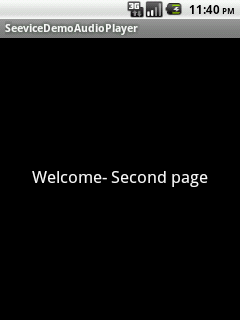 1)Create a new Project in Android. 3)Add activity_main.xml in your res/layout folder. 4)Add Billing services and permission in Manifest.xml. 1)Create sign apk for your application. 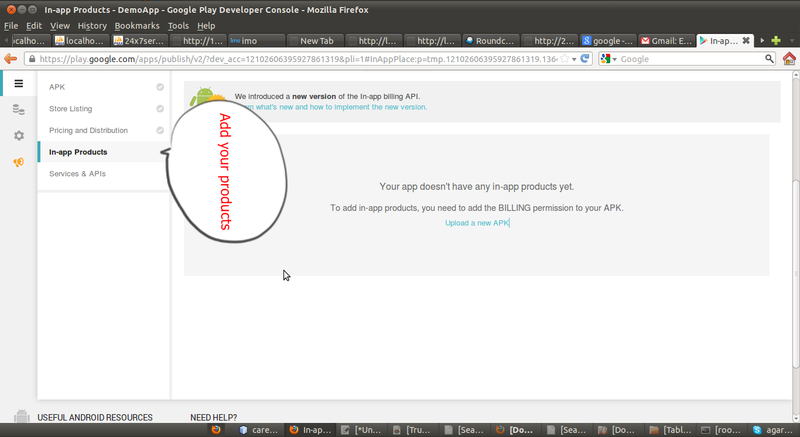 2)Upload your apk on Google play store. 3)Create product for your application. 4)wait for 6-12 hour for update item's on store. 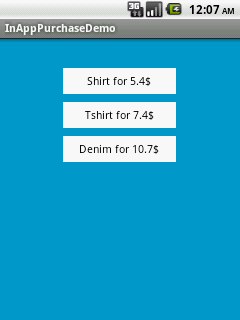 7)Add IMarketBillingService.java in com.android.vending.billing package. 1)Don't use emulator for testing its does not support Billing Services. 2)Don't use unsigned apk for Billing services. 3)Don't share your key with any one. 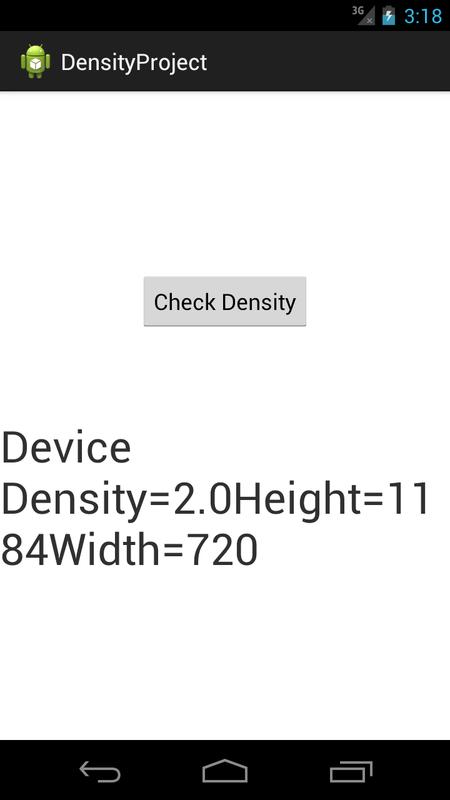 Hello Friends, I am sharing code for get density size, height, width of Android device. Just copy paste below code and enjoy..
textView.setText("Device Density=" + screenDensity + "Height="
Today I am going to share very useful code for custom number piker in Android. Some time we needed custom spinner or piker to choose values but Android not provide us own view so we should desgine custom view using canvas or xml. For any help or suggestion comment on my blog. 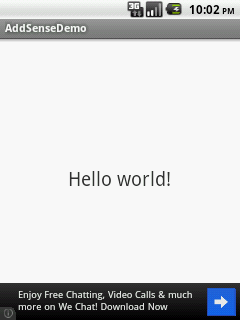 1) First Download AdWhirlSdk.jar and GoogleAdMobAdsSDK.jar and add it into your project using build path. 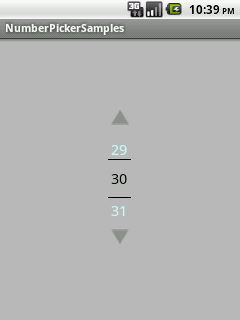 4) Use frame layout to display add anywhere in your layout. 5) Put your Ad-sense key in your Activity class. For more help comment on my blog! * web service, get data from server and set into Listview etc. * set view, make toast etc. 2)Don't do any View related task inside background thread. 3)For any help please comment on my blog.